The rain is coming down gently this evening. Here in the Sonoran Desert where I live, this is a welcome event. It brings life and color to the desert. The sound of the rain also reminds me of huddling under the tarp at our Tenba on a Genryu trip near Tadami. For now, I am far away from our Interview subject, half the globe away in a climate very different from hers yet Tenkara joins us here, in the middle. I’ve seen Yoko-san in Headwaters Magazine first. 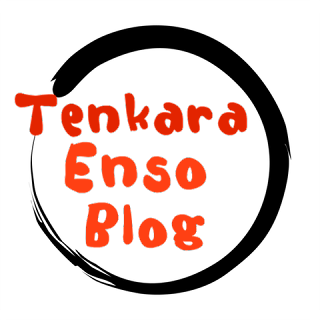 I then started to see her participation in social media with Sebata-san, Takano-san and a few other acquaintances. 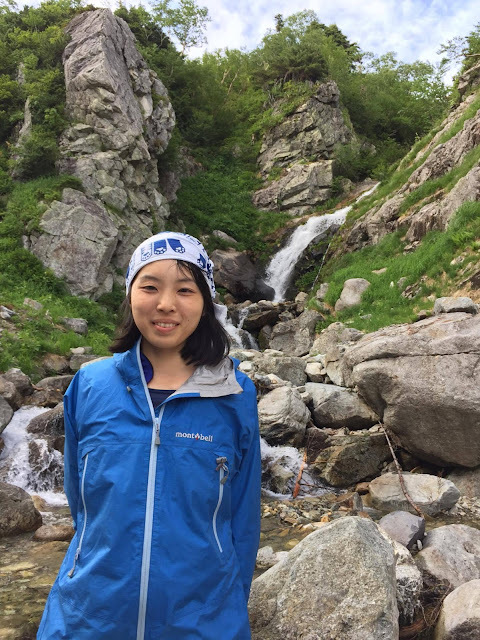 I have seen pictures of her picking mushrooms, casting a Tenkara rod, catching Iwana and in the last issue of Headwaters, hunting. She is an interesting and knowledgeable outdoors person of interest for our readers and friends. I am looking forward to completing this Interview with her. Adam: Yoko-san, thank you for accepting my request for the Interview. My name is Adam Trahan and I am 56 years old, a husband and a father of three children. I live in Phoenix, Arizona, one of the largest cities in the United States. Like anything that I do, I have studied Tenkara and it has brought me to your country a couple of times now. I’ve interviewed many of your talented and old Tenkara anglers. It pleases me very much that I am able to interview you as well, thank you. My Name is Yoko Goto. Thank you for having me and give me this wonderful opportunity. I live in Tokyo, the center of Japan, and I usually do the designer for work. I have been in the mountains as climbing, but since I was met Tenkara four years ago, I enjoyed fishing, wild vegetables, mushrooms, hunting and exploring mountain enjoyments. Every Friday evening, I load stuff to a car and head for mountainous areas around Japan. Adam: When I visited Japan the last time and stayed with Keiichi Okushi, Yuzo Sebata, Keiji Ito, Masayuki Yamano, Kozue Sanbe and Kazuo Kurahashi at the Tadami bansho. I would have liked to meet you and Tanidoraku Takano. Maybe we can meet sometime in the future? I hope to visit Japan maybe next year if all goes well. I will bring my wife and my youngest son with me to Tokyo and then spend another week up in the mountains with my friends and there, I hope we can meet. 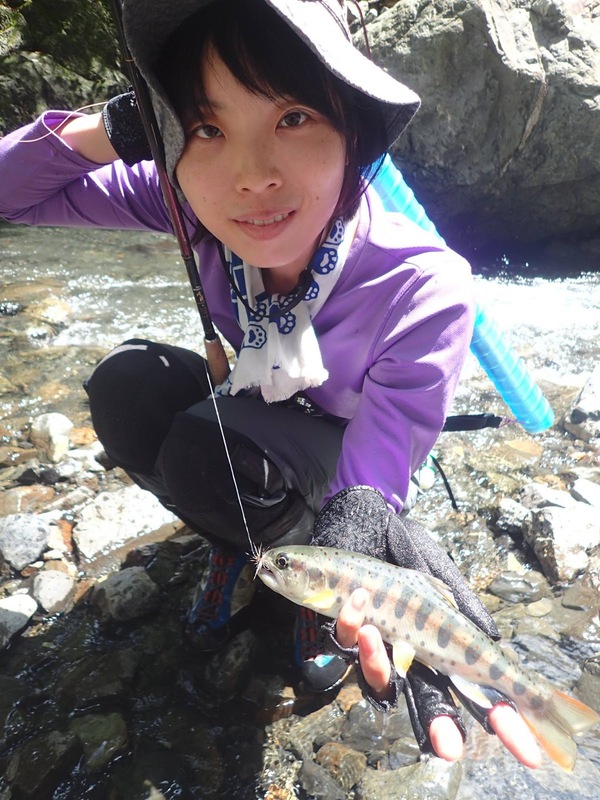 Goto Yoko: When I started Tenkara, there were no friend for fishing. However, I came across to Mr. Sebata, and I was able to meet many surroundings with him for Tenkara. From those connections, through Facebook, I have friend all over in Japan. However, I have never met a Tenkara fisher from overseas in person. I am looking forward to Adam-san coming to Tokyo. Adam: Very cool! I look forward to meeting you too! When I started Tenkara, about 8 years ago now, there was nobody in my area doing it. I got my first rod from Daniel at Tenkara USA and then researched Tenkara by making Japanese friends on the Internet. 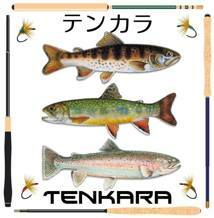 I started representing Sakura in North America and helped set up many people with their first Tenkara rod. I taught them what I knew and it was not hard to understand. When I came to Japan on my first Tenkara fishing adventure, it was to meet a fly fishing friend but I had already stopped fly fishing and only did Tenkara. My Japanese friend respected Tenkara but he was only fly fishing. He took me to see Masami Sakakibara. 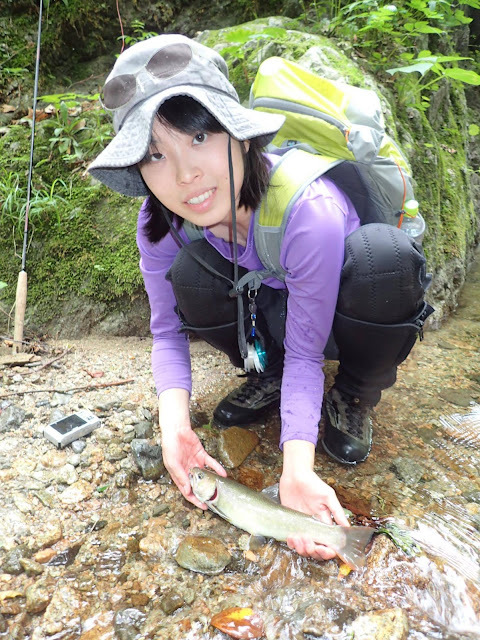 Masami was the first Tenkara angler I saw fishing besides the people that I taught Tenkara to. Needless to say, he is very good at it. Goto Yoko: When I started Tenkara, I did not have a specific mentor. Tenkara is a difficult fishing to improve without instructed from anyone. I went to classes, or went for fishing of various people and observed how to fish. I went to go anywhere if there was a chance to cast a Tenkara rod. Then, I noticed that the fishing methods of Tenkara are different for each person. I felt there are wide diverse of theories about the line length, hardness, type of line, weight of Kebari, same fishing for each pole. I met Mr. Sakakibara within such situation. Looking at his fishing at a glance, I decided to call him "the Master". My Master's Tenkara style was wonderful and I love it. I feel there are still much to learn from such a great teacher. Adam: I have seen very few women Tenkara anglers here in America and that goes for fly fishing as well. Of course there are some but it is a small percentage in comparison to the numbers of men. In my life, women are equal to men. The American culture of women has changed over the very short course of the life of our country. But please realize this, I am interviewing you because you are a great Tenkara angler first. 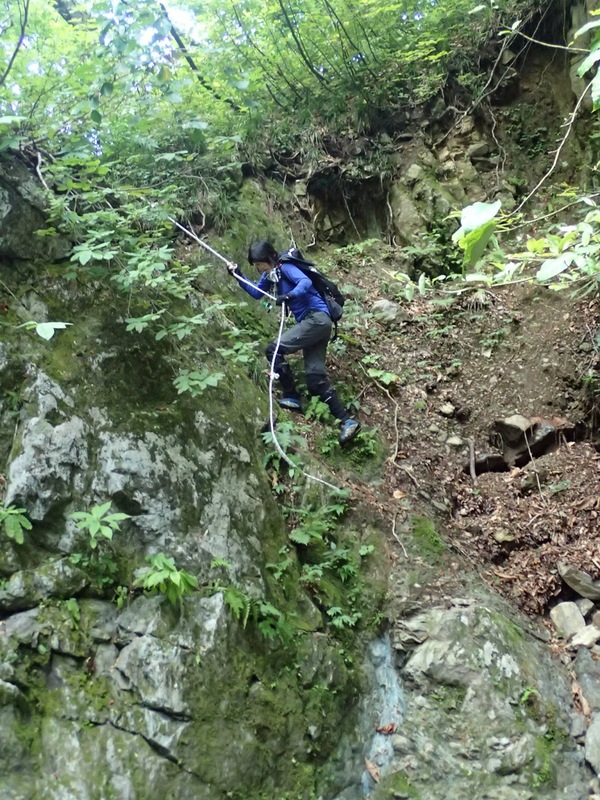 The second reason is because you are a keen outdoors person and a woman. I think that is important for you to know. I do many things besides Tenkara. I really enjoy flying gliders, particularly hang glider and paraglider. It is important to note that I was taught to fly by a woman. She was very good at communicating what I needed to know to survive the student learning process and had excellent ability to understand and read the way I learned. Sometimes she would make me repeat simple lessons and other times, just skim through the harder lessons that I found that I may need more time with. She seemed to have intuition in teaching me and I think that women generally have excellent insight into the nature of things. In my area, I have women friends that are hunters and I understand that you hunt too! I thought that your country had a ban on guns? But I see that Headwaters magazine sometimes features hunting which I enjoy. I think that women make excellent hunters and fishers because of this intuition. I’m personally not a hunter but I do like eating the meat that my hunting friends fix or give to me and or the feathers or fur that I get to use for tying my flys. Goto Yoko: Actually, I came up with hunting before fishing. I was curious about the act of taking living things and eating it. However, having license to use guns is very difficult in Japan. It took quite a while. Before the gun's permission was granted, when I entered the winter mountain for the first time to accompany the hunt, I thought that I had never seen such a beautiful mountain. Whether it is a fish or a beast, the mountains where there are living things are very beautiful and exciting. Of course, it was shocking to me the dead wild boar with blood I saw for the first time, but I was touched by the attitude of the hunter who I admired. I have just started hunting. I want to gradually add up knowledge of the mountains and want to be like a senior hunter. Current in Japan most younger people not want to be a hunter, but I think I want to be a one who inherits technique of hunting. Adam: I look at fishing as a great way to spend time in the forest. For me, it’s all about the outdoors and enjoying the serenity of living where people have not made an impact. I lose myself in nature, I’m taken away from the stress of living in the city and bathed in the forest quiet. I lose time while in the forest, a few hours seem like a minute and on the other side, sometimes sneaking up and placing one cast to a big fish may seem like hours when it was only just a couple of minutes. Time is interesting while deep in the forest. 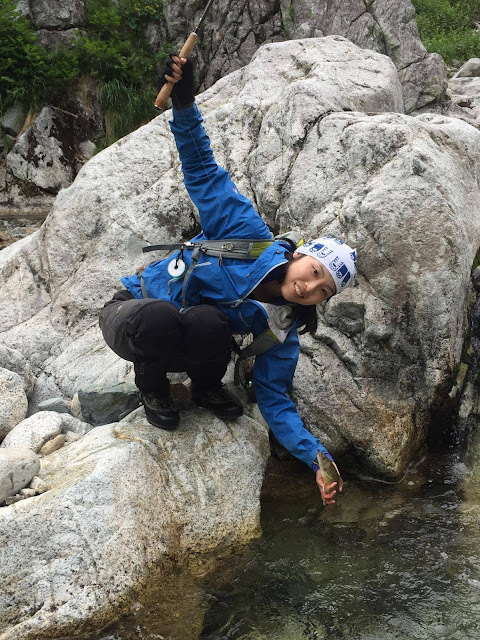 Goto Yoko: In a waterfall basine at a creek, I hooked a sinking driftwood. 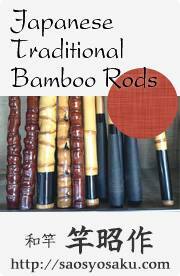 However, when I try to up the rod tip for unhook, I noticed that it was not a driftwood. It was a very big Iwana. I felt the vibration of the fish restive came to hand. But a big driftwood was sanked between me and the fish and I could not retrieve the fish easyly. I was desperately thinking how to retrieve it. I thought if I jump into the water like Sanpei (a famus fishing Manga character), I might be able to capture it on the other side of the driftwood. However, I might took too much time, the fish was ran away. It was such a mysterious time that it was such a short time as it was long. I often remember that I would like to meet that Iwana. Adam: When I am headed out to fish, I have a couple of different zones that I choose the stream I want to sample. The distance from my home is 100 and 200 miles away. Most of the time I do day trips into these areas, it’s a long day but because of my family, I can do more one day trips than I can spend the night out. Goto Yoko: I change the fishing spot depend on the season. 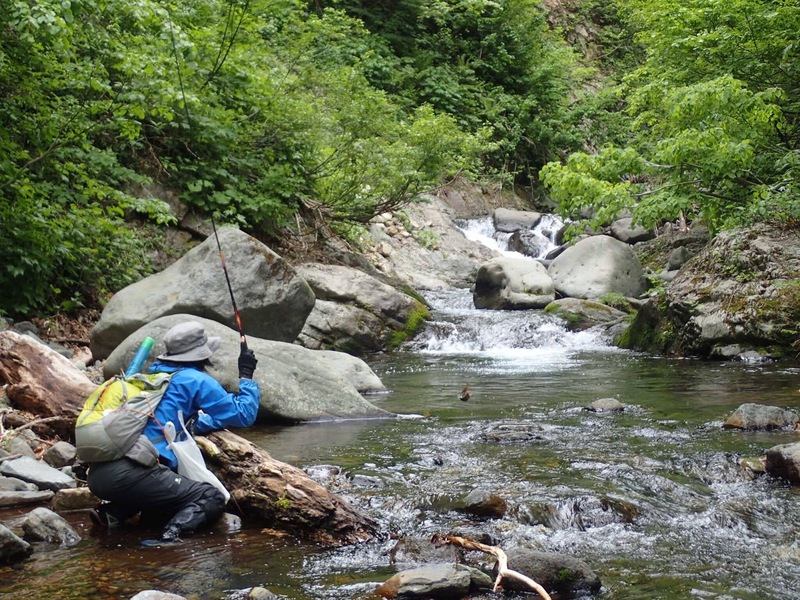 I do not know how it is in overseas, but I can do mountain stream fishing in Japan from March to September. In the March, just after the prohibition period of the season, we will make a day trip to the close by area. It is still cold and I cannot go to high altitudes. Sometimes there are snow falls. When it gets warmer, I will stay at a river and have a bonfire. In the summer, I wear a big backpack and enter the deep mountains. Sometimes it take long as 5 days. There are places I can only go when the snow melt. Summer in the mountain is so short and not so many opportunities. In fall, I aim for big fish to swim upstream. I like all kinds of fishing that catches to the change of nature in the four seasons. Adam: This year I am going to refocus my energy on lightening my backpack taking only the lightest gear and focusing on what I need rather than what I want to use. Over the years, I have backpacked with all sorts of different approaches that worked yet the experiences did not sustain an efficient path that made my backpacking easier. When I was younger, I was in the Army and I lived outdoors quite a bit using only what I was told to carry. 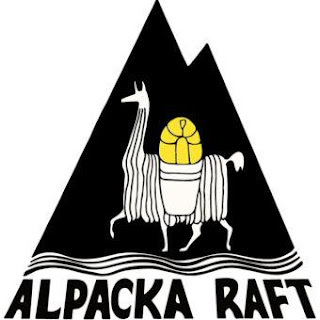 My pack was heavy with durable items that were not designed for lightness. The equipment was designed for durability, it worked but was very heavy. I hiked many miles and lived outdoors in the jungle and in the forest but the movement was not enjoyable. I enjoyed my time at rest but movement was difficult at best. As I returned to civillian life, I was able to choose my equipment and the important lessons I learned outdoors in the Army were at the center of my decisions. I had to develop my own style, my own look at living outside. My approach toward backpacking was filtered through the experience of the Army and I was having difficulty in removing myself from that philosophy of equipment choices. I did not have the understanding of a light and free look at living in the outdoors. Eight years ago (2009) I switched from fly fishing to Tenkara. Already I was on the path to simplify my fly fishing. It was one of the reasons why I wanted to learn a deeper level of fishing and living outdoors, it was desireable to me, learning efficiency much quicker. To sum it up, Tenkara helped me focus more deeply on what was important through knowledge and it helped keep focus on what was more important. Tenkara has helped me filter my approach in more ways than just fishing. Having a Tenkara focus has been a great lesson for me, a lesson in efficiency. Goto Yoko: When I started fishing, I had a lot of choices for Fishing, lure, fly fishing, ocean fishing, etc. I tried some of them and I was sick of the complexity of the tools. In such a case, I was surprised to know the ultimate simple fishing named Tenkara. It was exactly the ideal fishing for me. The more I examine it, the more I understand the charm of Tenkara. Since I started Tenkara, I have not done much other fishing. 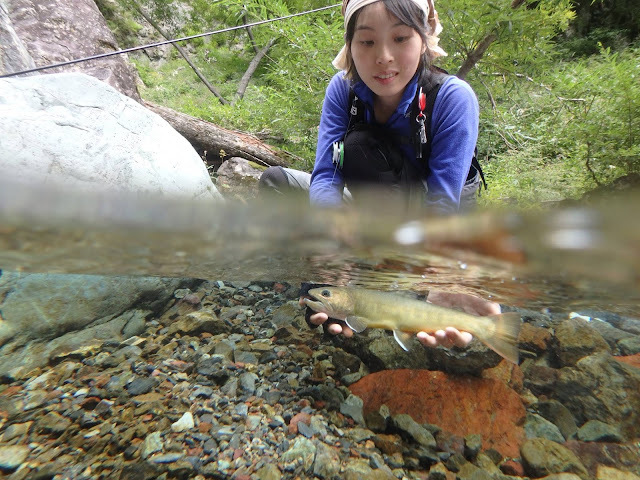 Another thing, I think that the attraction of Tenkara is close distance to fish. 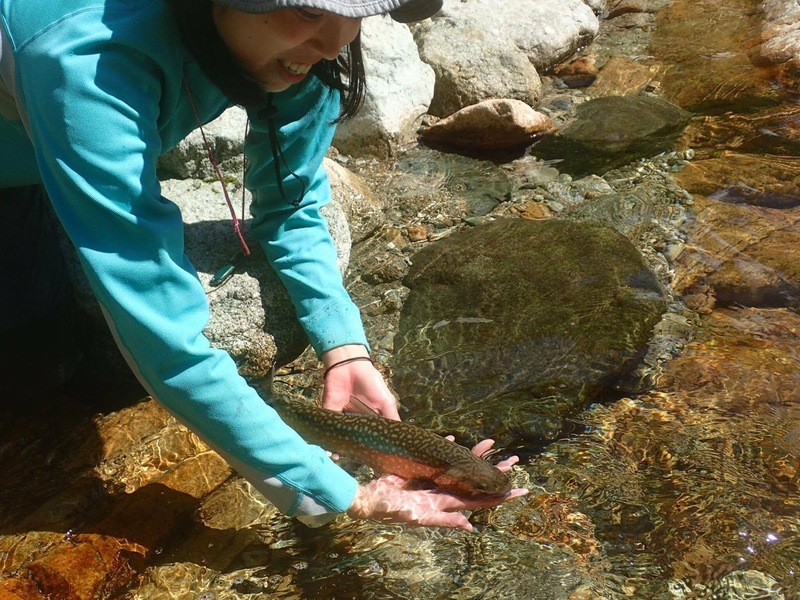 Especially in mountain streams, there are chance when you drop Kebari from behind while looking at fish, and hooked fish vibration directly comes to hand through line and pole. Unlike fishing tackle with reel, if you make a mistake in direction or angle, it will be brake a line in a moment. It is regretful at that time, but I will go out for fishing again soon. Adam: I have been to Japan now three times, once when I was young in the Army and twice now for fishing since I have learned Tenkara. For me, Tenkara is Japanese fly fishing and it represents a little more than just fishing, it represents efficiency as I have described it above. As far as the outdoors go, I have favorite areas that I enjoy visiting. My home state of Arizona is very diverse and it is beautiful. I live in the desert and I travel to the mountains and streams to live for a little while in the cooler climate to enjoy the outdoors. I visit Colorado, one state away and it is an area that has many high mountains and streams of all different kinds. I travel regularly to Colorado and I must say, from what I have seen in Japan, Colorado is a special place that I am drawn to. It is so beautiful, the mountains there are always calling me to come visit. I answer that urge to go there regularly and I have learned that everything that I need is right there in Colorado. Of course my own mountains in Arizona has all that I need but I have explored my state so much, I like to travel a little bit for new adventures. Goto Yoko: Before I started Tenkara, I liked traveling abroad. I did trekking overseas as well. 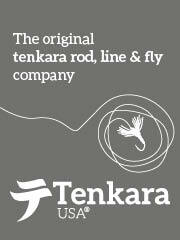 However, my idea had changed, starting with Tenkara four years ago. I noticed that Japan is very interesting place. 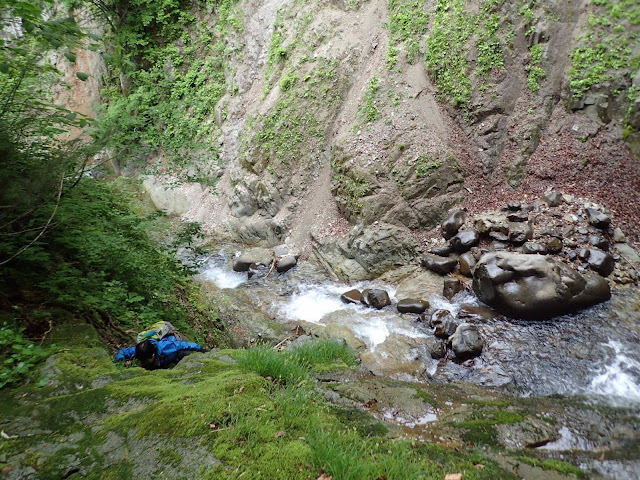 The diversity of mountain streams in Japan impossible be known to the best even if I have a lifetime. There are countless unexplored hidden stills in the mountains. I am going to various places in Japan and fishing now. I think this fun will continue in the future. Adam: I have collected quite a bit of Japanese Tenkara books. Along with those books, I have also collected many Tenkara videos. I really like what Kazuya Shimoda has done with his books and videos and I am very impressed with Yuzo Sebata. I was very fortunate to spend time with him this last year in September. I have seen him in many books by Yamamoto Soseki and he has written his own books and created videos as well. I think of all the Tenkara Anglers in Japan that are well known, it is Sebata-san that I see as the iconic Japanese Tenkara Ambassador. His video of him fishing the Western rivers in America so long ago, well, it’s just the icing on the cake for me. 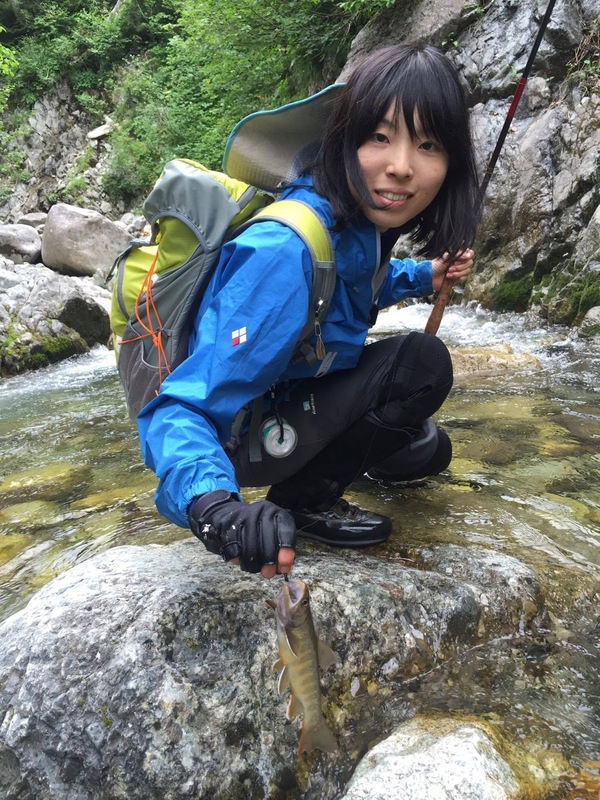 Goto Yoko: I was very lucky, as soon as I started Tenkara, I met Mr. Sebata and got a wonderful opportunity to accompany with him to fishing. Actually, however, no one caught any fish in the party. At that time, what I learned from Mr. Sebata was all of the stream. How to put a tarp, how to raise a bonfire, how to cook rice, how to eat the wild vegetation's growing on the stream side. "Seta House" made by spreading a blue sheet was very beautiful and comfortable. He gathered the twigs around tarp and quickly raised the fire. I was a beginner and surprised, the scale kept falling from my eyes. (Do you understand Japanese proverb "Scales fall from the eyes"? - actually it is English expressions) I enjoyed the all of funs of river at that fishing trip. Goto Yoko: In Japan there are few people fishing in Tenkara, but I heard that overseas are getting popular recently. What kind of image do you have about fishing in Japan and Tenkara? Adam: Yoshikazu Fujioka and I have been friends since he was making his web site on his favorite streams in 1996. Through our common love of fly fishing small streams, I already knew about the type of streams you have in Japan. Another friend, Satoshi Miwa and I have a friendship and we shared our interests in fishing streams too. He had shown me many streams that I desired to fish. So I think my image was pretty accurate. I visited in 2013 and in 2016, many different streams and mountains with lots of friends. I visited Masami Sakakibara in 2013 to understand a deeper level of tenkara and Keiichi Okushi (Yuzo Sebata and friends) in Tadami in 2016. Through my visits, I have introduced many people in Japan to new and lasting friendships. It is nothing less than amazing but it is not me, it is this old style of fishing. Tenkara is truly a unique way of fishing, travel and meeting many new friends. Now I am sharing your story of tenkara fishing. I only want others to understand how beautiful Japan is and pay tribute to tenkara's country of origin. Adam: I have many many more things to ask you, I see you on social media fishing Tenkara and just having so much fun on a mountain stream. I want to thank you for sharing your time with us. Thank you Goto Yoko, I appreciate your participation. 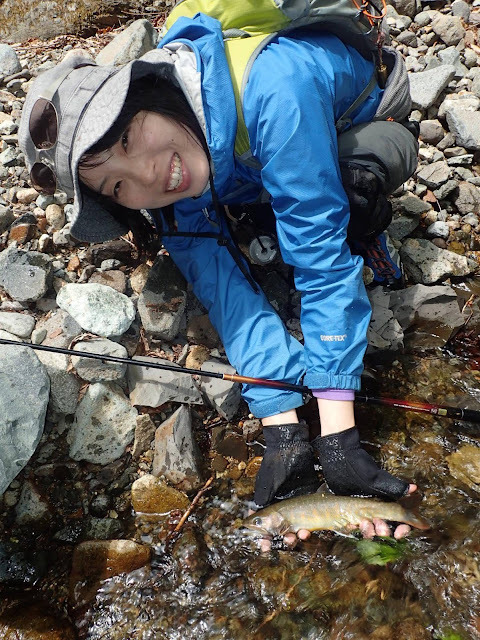 Goto Yoko: I started fishing because I wanted to take a living creature by myself and eat it. In Japan, there were professional fisherman who used to live for fish Iwana, they are my longing. There is no longer have that occupation anymore, but their fishing methods "Tenkara" are still left now. Of course, I am releaseing most of the fish now, but I think it will be a wonderful experience what to catch living things to eat by own. There are not many female anglers, but I want many women to have such like experiences. Mountains show me different expressions if I chase a deer with gun than summer fishing. Mountains playing is deeper than I may imagine, I guess. Thank you for having me and give this wonderful opportunity.